Recently, much attention has surrounded the removal of Confederate flags from state grounds and merchandise resale centers across the country. Walmart, eBay and Amazon are among the corporations that removed products featuring the flag from their shelves, and the colors were taken down from flagpoles across the country. The place of the Confederate battle flag in modern America has been largely contested for years, but the current inflammation of the subject is largely attributed to this month’s tragic shooting in Charleston. The controversy over the flag rests heavily on two opposing viewpoints. One side sees it as a glorification of the institution of slavery and other injustices, and the other sees it as a symbol of regional pride and dignity. The flag is prevalent in many areas of the southern United States and has been for generations. 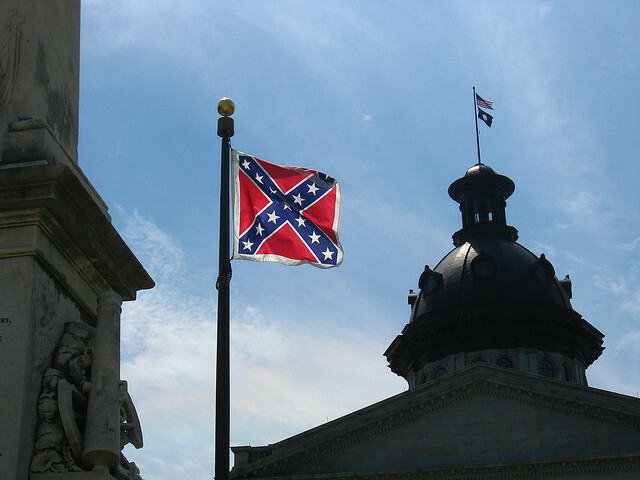 After the recent removal of the flag at the South Carolina Capitol by an equal rights activist, the debate on the flag’s position in society seems to be at the highest level it has been in years. The controversy over the usage of the Confederate flag is not over, but hopefully our nation can find a balance between retaining regional pride and moving forward into the 21st century. It is always important to remember where we came from, but it is also important to remember where we are going. Now, it is America’s duty to determine if it wants the flag to hold a place in its future.